Obituary for Donald E. Anderson Sr. | Campfield Hickman Collier Funeral Home, Inc.
Donald E. Anderson Sr., 90, passed away peacefully Saturday, November 24, 2018, surrounded by his family.He was born to the late John and Laura Anderson on October 27, 1928 in Barberton, Ohio.Don graduated from Barberton High School and attended the University of Akron. He went to work for A&P then married his high school sweetheart, Mary Gadanac and built their first home, where they raised eight wonderful children.The family grew up faithfully attending St. Andrew the Apostle Catholic Church in Norton, where he served as a Lay minister. Don worked for A&P for 25 years until they closed and then served as Bailiff for Judge Gadanac for several years. He retired from Acme after 20 years as meat manager. 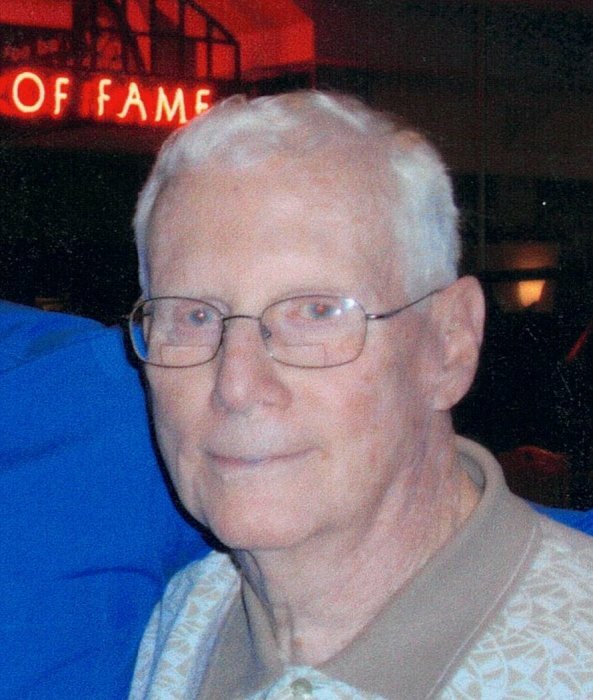 Don was a member of the Knights of Columbus, Holy Name Society and served as a Director for Barberton Parks and Recreation for eight years. He also enjoyed coaching CYO Softball. Preceded in death by his son, John and brother, Bob; survived by his wife of 69 years, Mary; sons, Mark (Pat), Don (Mary Alice), Jeff (Kathy), Michael (Karen), Jim (Cindy); daughters, Kathy (Henry) Nagel and Karen (Michael) Elick; daughter-in-law, Sandy.He loved his children and was proud of each one’s success. Don is also survived by many grandchildren and great-grandchildren; sister, Edith Canning; along with other relatives and friends.Following Don’s wishes, there will be no calling hours. Mass of Christian Burial will be held Wednesday, November 28th at 10 a.m. at. St. Andrew the Apostle Catholic Church, 4022 Johnson Road, Norton, Ohio 44203 with Fr. James Maloney, celebrant.In lieu of flowers memorials may be made to the church or St. Jude’s Children’s Hospital at www.stjude.org/.